I am currently “Down Under,” in my homeland of Australia. I have been doing some speaking in several churches across the country, including in Sydney, its largest city, and in Hobart, Tasmania. It is exciting to see such a hunger for creation apologetics resources. At AiG, we produce the world's leading creation apologetics materials to equip believers to defend the Christian faith against the secular religion (e.g., atheism) permeating our culture and particularly the younger generations. These faith-affirming resources are available at AnswersinGenesis.org in the US, Australia, Canada, UK, and Latin America. Visit our website and select your country to discover what AiG offers near you. 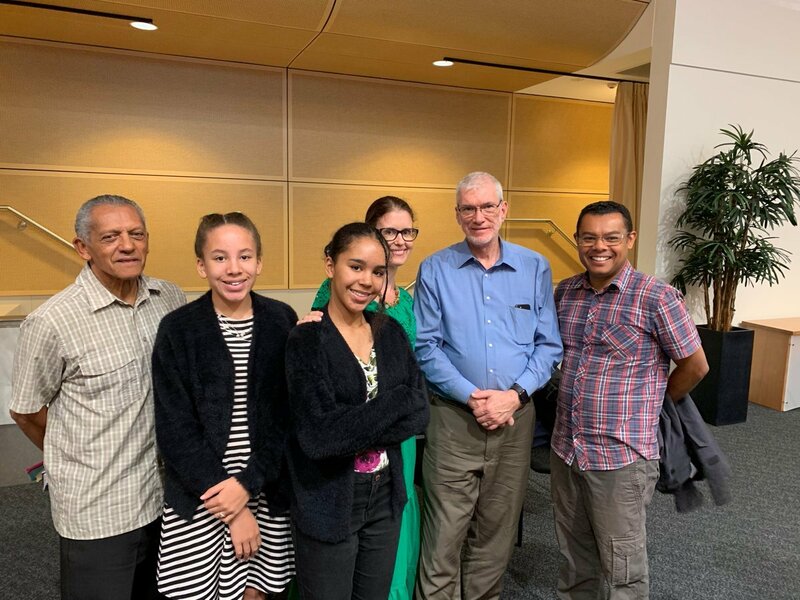 It was thrilling to meet this family (pictured, right) when I spoke at Emmanuel Baptist Church in Sydney. They live in Alice Springs (in the center of Australia) and told me there are a number of homeschool families in this isolated town who use our books and DVDs. Praise the Lord! 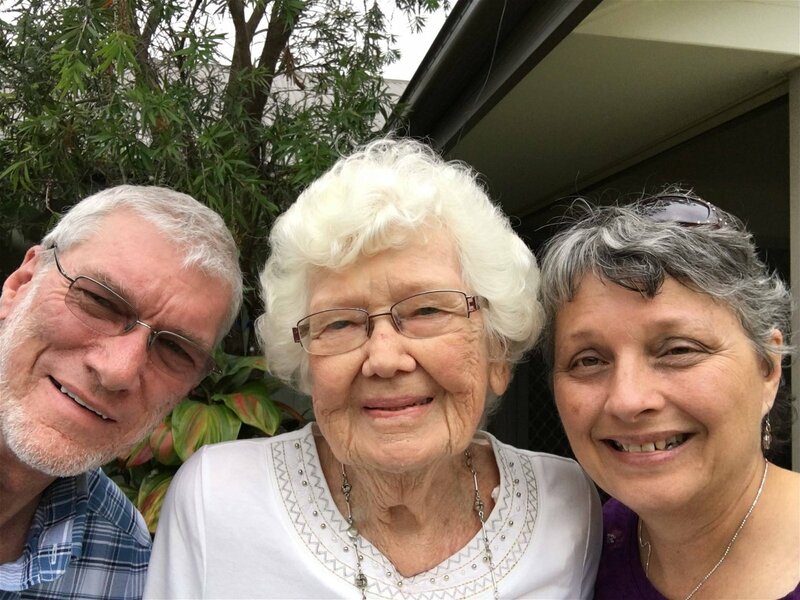 While we are in Australia, we also have the opportunity to visit my family, including my 91-year-old mother, pictured below. We also had lunch with my nephew. 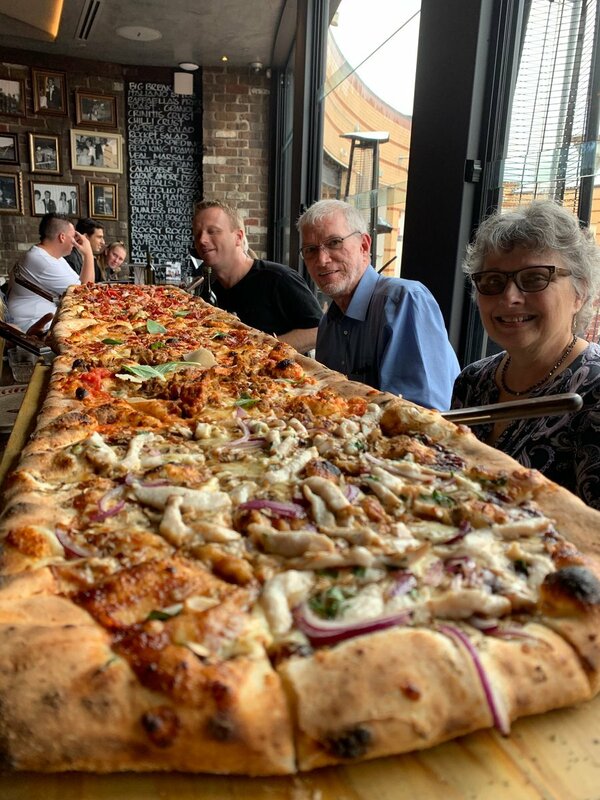 He ordered us a 6-foot-long pizza (the restaurant even offers a 10-foot one!). Well, we gave up! Of course we couldn't eat it all! It really was quite the experience after speaking in church Sunday morning! I also had the opportunity to take a walk on the beach with my lovely wife, Mally. 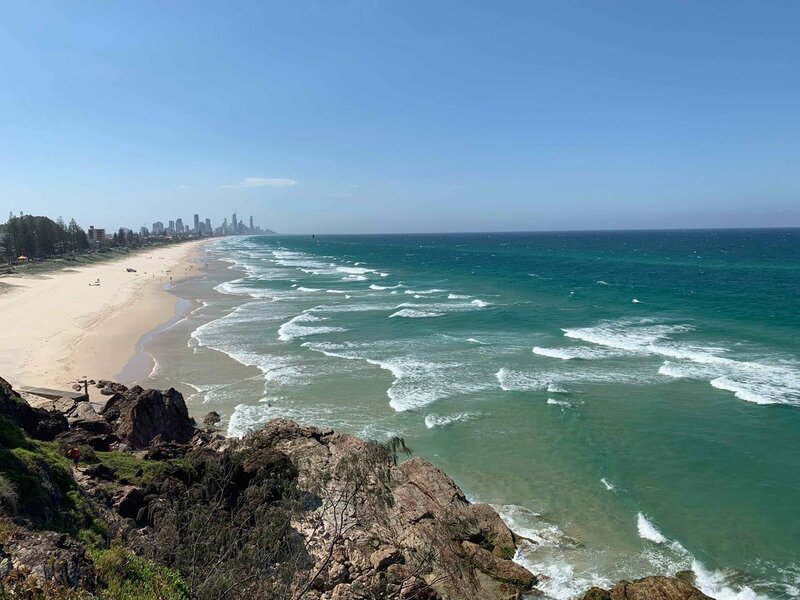 Sometimes I miss Australia! It’s nice to be back for a few weeks. 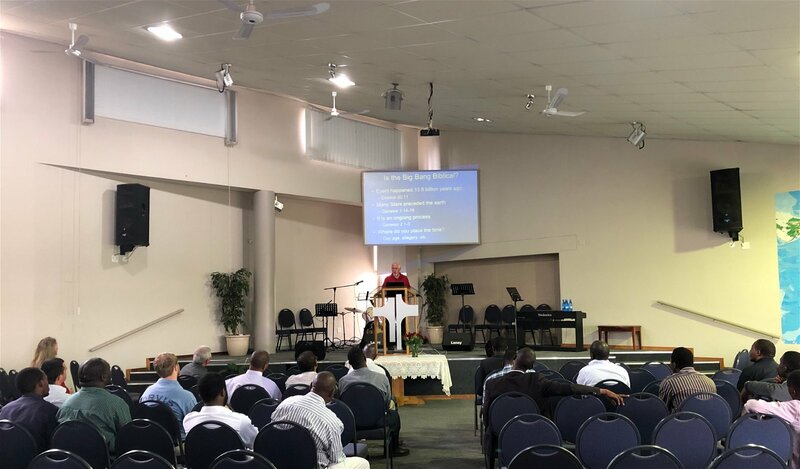 Two of our speakers, curriculum specialist Bryan Osborne and astronomer Dr. Danny Faulkner, recently completed a little more than a week of ministry in South Africa—before Bryan headed off to Kenya to teach at a pastors conference. At most venues, they gave several presentations. 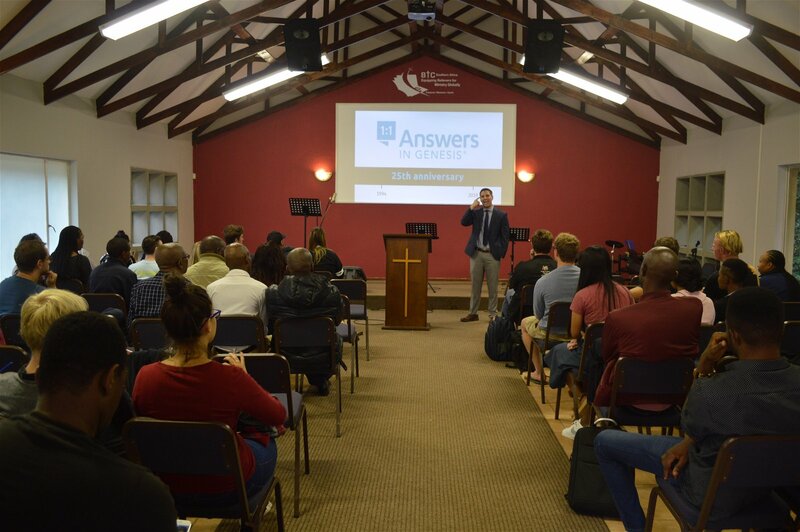 They spoke at Baptist Theological College in Randburg, the middle school and high school at a Christian school in Pretoria, Christ Seminary in Polokwane, Grace Baptist Church in Amanzimtoti, and the Bible Institute of South Africa in Cape Town. 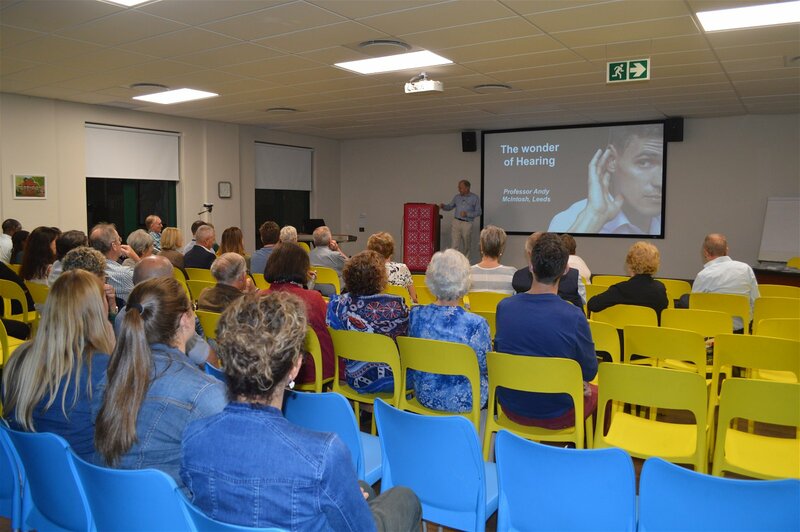 When they spoke at Queenswood Christian College in Pretoria, they were joined by a speaker for Answers in Genesis–UK, Professor Andy McIntosh, who happened to be in South Africa. They’ve been busy! 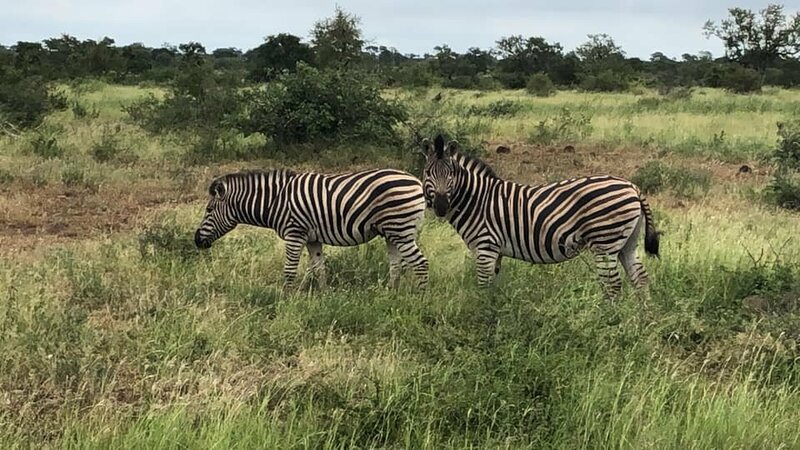 While traveling in South Africa, Bryan Osborne and Danny Faulkner were escorted by Dr. Bouke Bokma, a Johannesburg dentist who organized the trip. 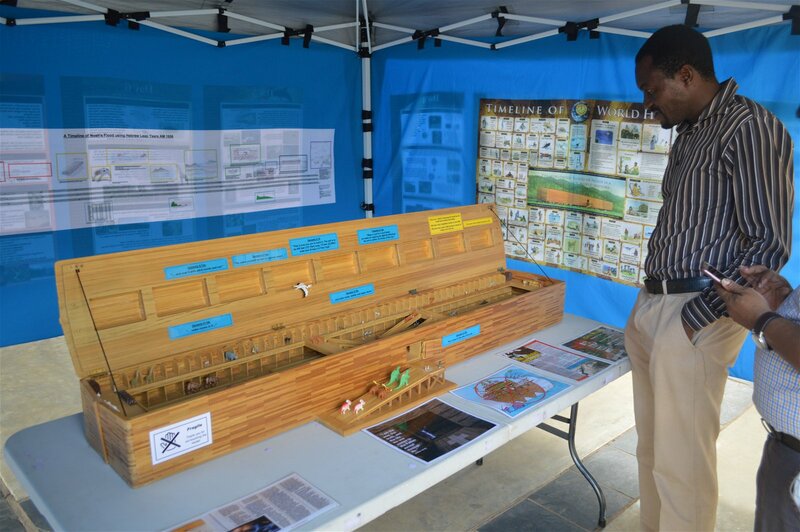 Bouke gave presentations on dinosaurs at many of the meetings, and he also took along a scale model of the ark for display at most of the meetings. Bryan gave the presentation “One Blood” on the issue of race everywhere he and Danny went, and it was well received. This is significant, given the troubled history of South Africa. Bryan and Danny took books to give away along their journey as well as made digital downloads of many of our resources available. 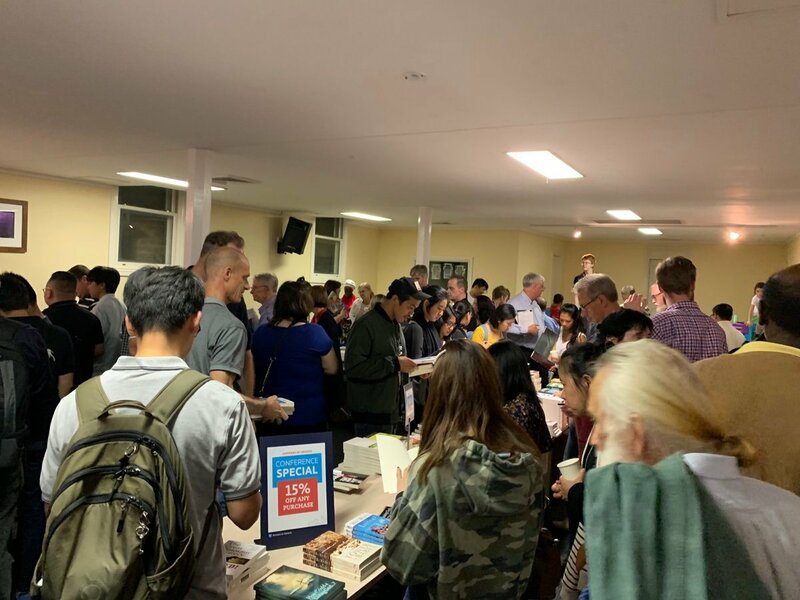 The people were very appreciative of these resources, as they seemed very hungry to learn more about the significance of creation and the biblical authority message. Of course, there was an occasional day off, so they had some time for sightseeing. Early in the trip, Bryan and Danny were able to interact with lion cubs at Lion and Safari Park near Johannesburg. They also did the drive-through tour to see many other animals. A very different experience awaited at Kruger National Park. Bouke, Bryan, and Danny spent eight hours driving in the park one day. That night, they stayed in the enclosure of Skukuza (the enclosure kept them safe from the wildlife). The next morning, they drove two hours to leave the park. Even though our speakers had spent considerable time there, they saw only a small portion of this huge park. Of course, they enjoyed viewing a wide variety of wildlife. I’ve included some of their pictures below. 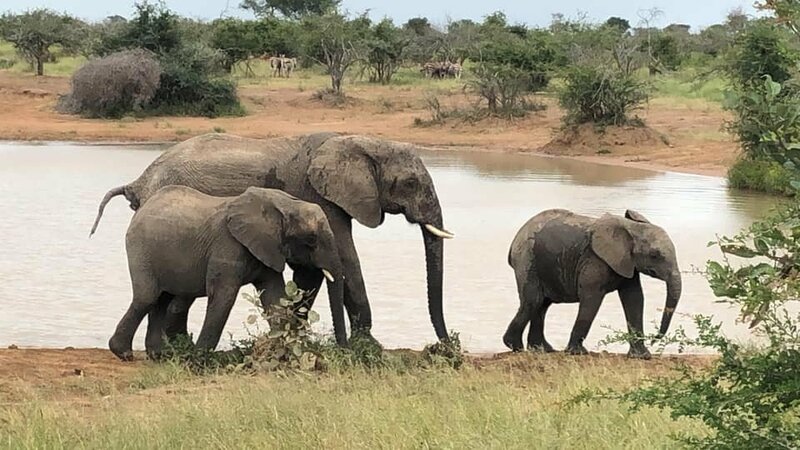 A mother African Elephant with her family. 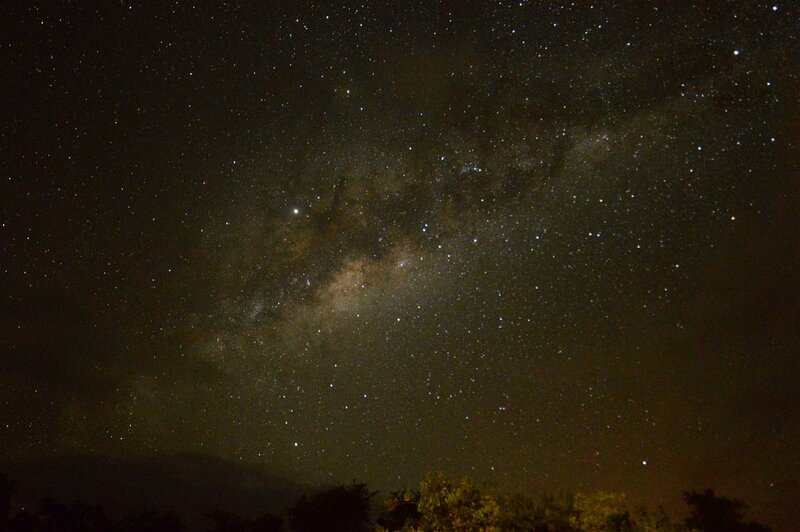 The night sky in South Africa is beautiful. 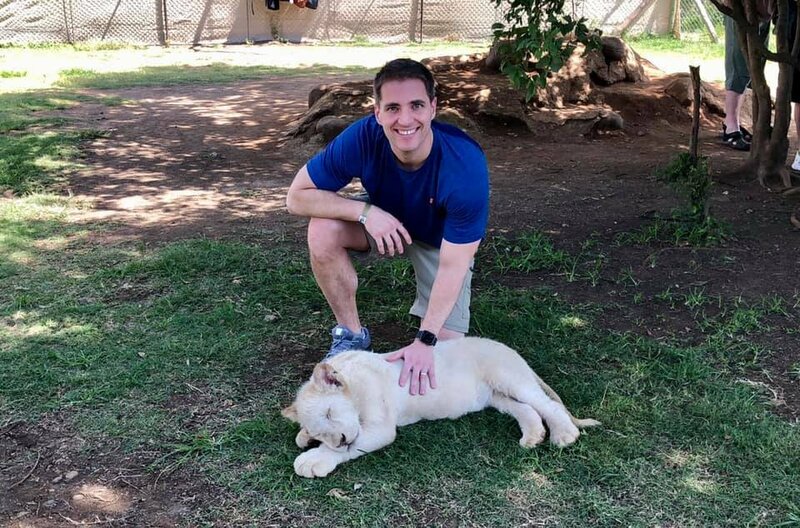 Bryan Osborne has made friends with a lion cub. 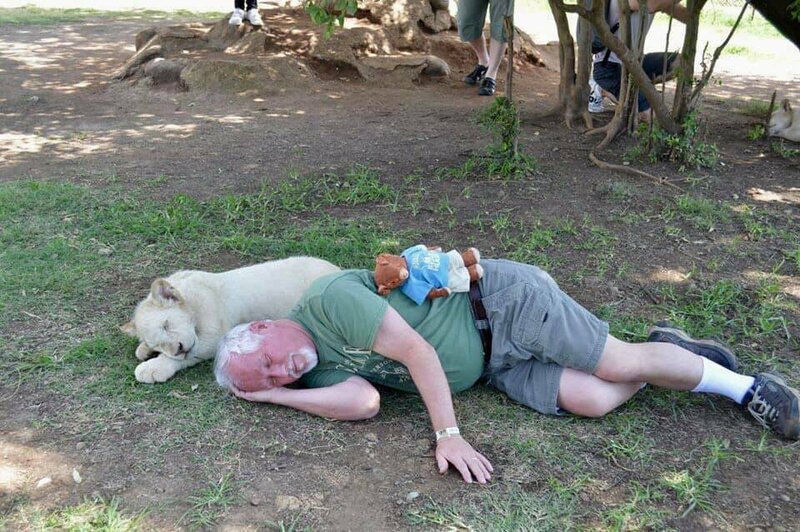 Dr. Danny Faulkner enjoys a nap with a lion cub. In the first of seven trips to 12 countries planned for 2019, one of our speakers, Dr. Terry Mortenson (who holds a PhD in the history of geology), recently made a two-week trip to Germany. Traveling to six cities, he gave 20 lectures using three different translators in six churches, one Christian high school, and one seminary. The churches Terry visited were some of the largest Bible-believing churches in Germany. Over 600 attended each of Terry's three lectures in Fulda. 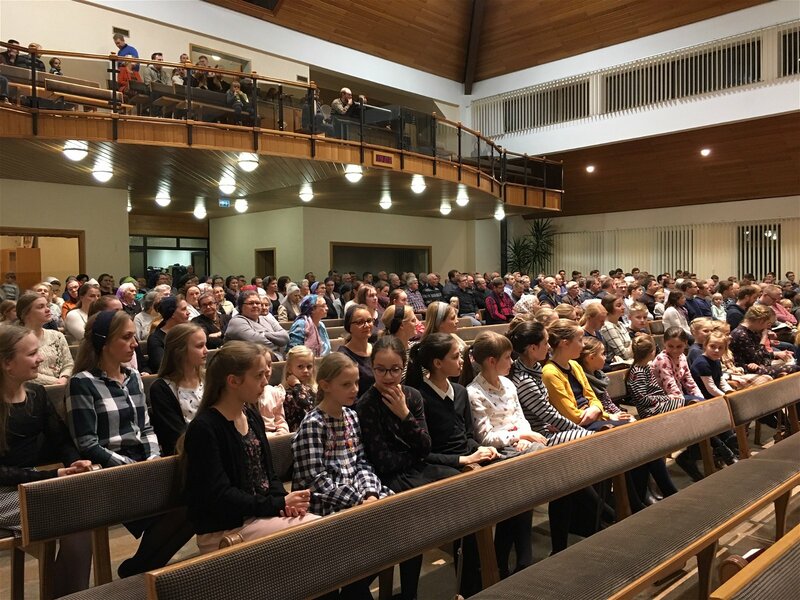 About 1,000 packed the church in Frankenthal on each of two nights. Terry gave five lectures in Weinsberg, and all were live-streamed and video-recorded for the website of Das Wort Gottes Radio. He also gave a talk and had very fruitful discussions at a seminary in Bonn, which hopefully will lead to more ministry opportunities in the future. Please pray for lasting fruit from all these meetings. As you can see, AiG speakers are busy internationally! 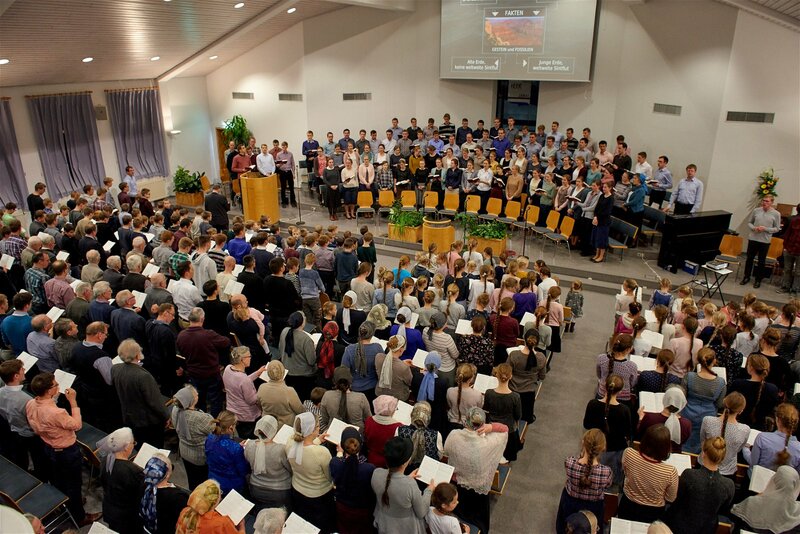 Each year we host a variety of global events, reaching out to the church worldwide with the message of the truth of God’s Word and the gospel. See our upcoming events on the outreach page of our website.